I've been meaning to post these. Just needed to at add the finishing touches. These are available for free to download through our Mighty Girls Rock Community group on Facebook! Just look under the "files" section. Come join us! Mighty Girls Rock Community join here! Check out our new printable troop party banner!!! 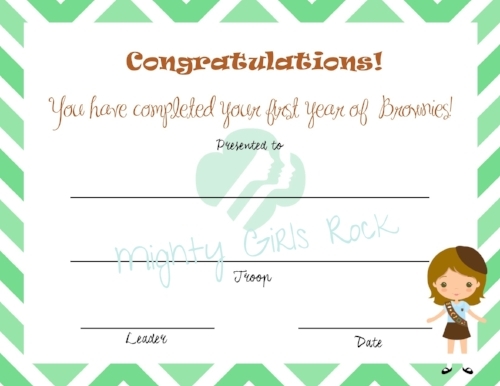 Posted on May 18, 2017 by Katie D. and filed under Girl scouts and tagged girl scout parties girl scouts printables free printable bridging Ceremony certificates brownies girl scout ceremonies leader other Brownie badges.